Looking for the most perfect salad? 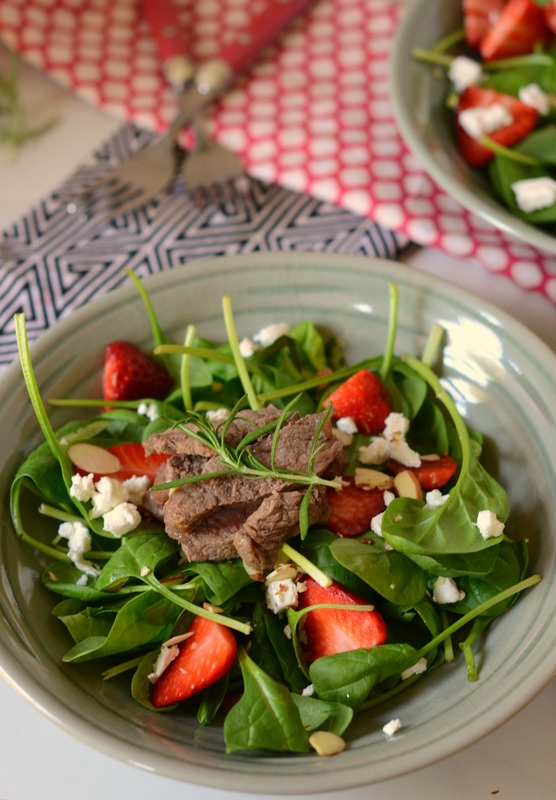 My spinach, strawberry salad topped with sliced steak and a sprinkling of goat cheese is pure perfection. This salad is barely a recipe but enough to share for a few of reasons. Reason 1: You would gladly pay upward of $15 to eat this at many restaurants. 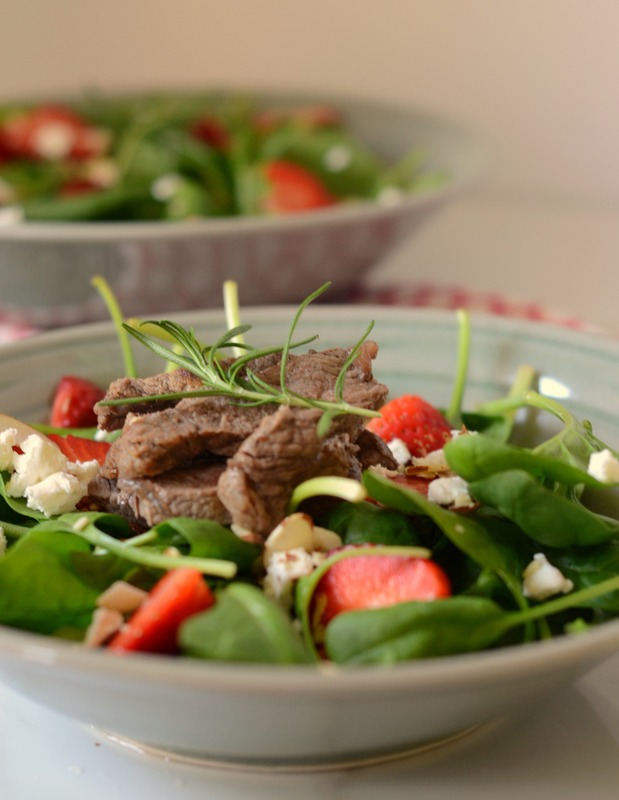 Reason 2: It is spring and a beautiful spring salad is just what everyone needs right now. Reason 3: We eat this (or a variation) at least a few times per month. Reason 4: Maybe you haven’t thought up this combination and just needed someone to strongly recommend it to you. 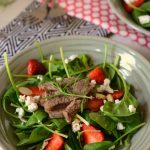 You can make this ahead of time to have for lunches throughout the week or you can make this salad for a dinner on its own. It’s hearty, full of protein and healthy carbs and good for you fats. To make it Paleo, skip the goat cheese and add more nuts. To make it vegetarian, skip the steak. A beautiful spring salad that makes for a great weeknight dinner. Cook steak, either pan fry or grill. 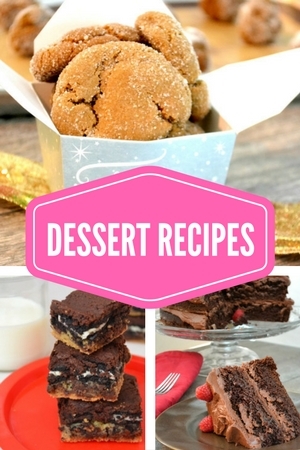 Slice thin and set aside. 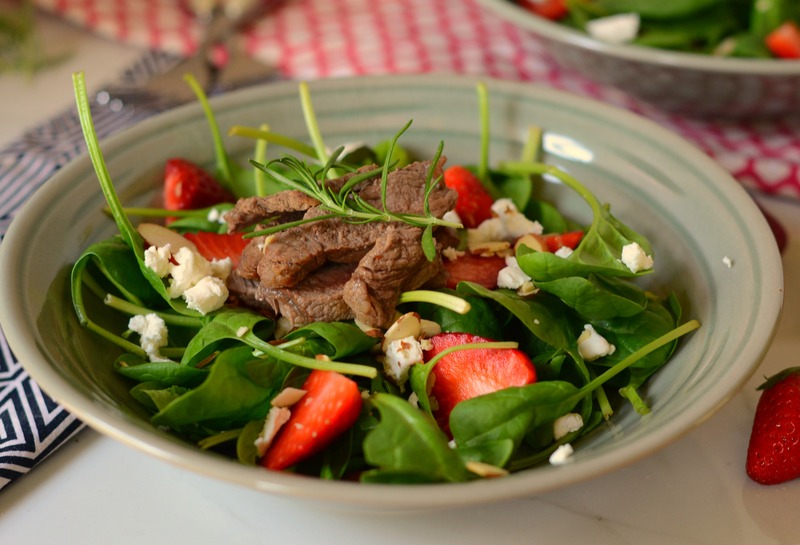 In a salad bowl, toss the greens, strawberries, almonds and goat cheese. Divide salad between serving dishes and top with sliced steak. We usually serve without dressing but if you feel like you need one, we love this poppyseed dressing.